You are here: Home / Free Tarot Reading Online / How To Read Tarot Cards For Yourself? No matter who you are a professional Tarot reader or a newbie, it’s certain that you always try your best to carry out a Tarot reading for yourself. By learning to use the cards, you are capable of receiving a special power to acquire insight or guidance in every aspect of your life. So, how to read Tarot cards for yourself? Truly, there are lots of different ways to perform the practice. You need to know that reading Tarot cards is a combination of intuition and knowledge that anyone can use and improve. Right now, please follow each simple step below in order to gain yourself an intuitive and meaningful Tarot reading. Generally, there are two main ways to do Tarot card reading. One is to memorize all the meanings of the cards that are offered through a Tarot book. The remaining one is to avail your gifted ability and intuition to translate the cards’ meanings. 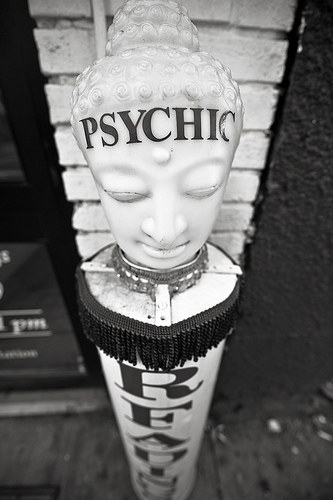 Almost every Tarot reader often uses both ways to give the most accurate result for their clients. Well, the way that we’re going to explore is relied mainly on availing your intuition. Before starting, please sit comfortably with a Tarot deck in front of you. Keep in mind to prepare a notebook and pen nearby to jot down if necessary. Take slow and deep breaths and make yourself comfortable. Then envision everything in your mind. Bear in mind to let your mind become empty and clear to avoid thinking about worries. Don’t forget to release your bodies through breathing and exhaling deeply. Relying on that, you are able relax your mind totally to listen a soft voice of your intuition. It’s necessary to clear the Tarot deck out of other energies from the previous reading. The best way is to shuffle the cards. After finishing, try to visualize a white light and send it to your deck so that the cards can receive your own energy. When holding the deck, you need to ask silently in your mind or say loudly. In case that you don’t have any particular query, you can ask “What should I do today”? Put the deck on the table in front of you, use your left hand to cut it in half, and put the top half on the left site. After that, pick up one card at the top of the right pile and turn it over. First of all, you need to pay attention to your first impression (feeling, response, and thought) when turning this card over. Then let your intuition connect your physical feelings when looking at the card. Through saying the name of the card loudly, you are able to access new information and insights to feel the card. Next, observe the color, images, characters, actions, and symbols on the card in order to understand what the tarot card meaning. At this time, you might use the Tarot book to discover the meaning or avail your intuition to “feel” what it means. In case that you feel it’s enough for the reading, please hold the deck in your hands and say “thank you” to the guidance and insights that you can acquire today. Finally, spend a short moment of silence before ending up. Be clear with 6 basic ways to learn “How To Read Tarot Cards For Yourself” or do you have any inquiry about this question? Submit all in the textbox below and then get our instant replies in the soonest time! Previous article: What Is My Future-Tarot Cards? Next article: How To Ask Love Questions Tarot?